Keywords: Sickle cell anemia, Sickle cell disease, Sickle cell anemia diagnosis, sickle cell anemia management. In 1952, in the Nilgiri hills of northern Tamil Nadu sickle cell disease was first described. After the first discovery, it has been found widespread in all the regions of the country. The Anthropological Survey of India has conducted extensive studies on sickle cell distribution and have found that in some communities the prevalence is as high as 35%. According to a statement released by the State health department in 2015 Odisha has 5.35 lakh of the population affected by the disease, among them 5 lakh people could be found in 13 western Orissa districts. Hemoglobin is a tetrameric protein. Each unit of hemoglobin comprises two pairs of globin chains with each group having one haem molecule. Thus, each molecule of hemoglobin had four haem molecules, and in turn, these can carry four oxygen molecules. Globin chains are derived from Chromosome 11 and Chromosome 16, which codes for beta (β) chains and alpha (α) chains respectively. There are four genes coding for alpha chains and 2 for beta chains. Sickle cell disease is caused by a point mutation in the sixth codon of β-globin that leads to the replacement of a glutamate residue with a valine residue. Due to the point mutation in sickle cell anemia, hemoglobin undergoes a conformational change during oxygenation and de-oxygenation and the globin molecule becomes “sticky” or unstable leading to polymerization and precipitation. This happens in the deoxygenated state. As the hemoglobin precipitates, it makes the RBCs sickle-shaped. These RBCs again gain their original structure on oxygenation. But repeated episodes of sickling leads to membrane damage and severe dehydration of the cells, thus rendering them rigid and non-pliable. This results in its reduced lifespan. Membrane damage leads to exposing of phosphatidylserine on the outer leaflet of the membrane. This helps in easy removal of these cells by macrophages, thus resulting in extravascular hemolysis. Excessive sickling can lead to the stacking of these sickle cells and occlusion of micro-vessels. Vaso-occlusion is one of the most frequent complications in these patients. A crisis arises because of rapid hemolysis or non-production of RBCs. Increased hemolysis can be seen in infections, inflammatory conditions or sudden changes in weather. Reduced production can be due to megaloblastic precipitation leading to ineffective erythropoiesis, i.e., destruction of RBCs within the marrow. Aplastic crisis can be precipitated by Parvovirus B19, which results in erythroid maturation arrest in pro-normoblast stage and erythroid destruction. A patient of sickle cell anemia can also present with pancytopenia. That can be either due to hypersplenism or due to marrow infarction (vaso-occlusion of marrow). Prompt action is therefore required in such conditions. In heterozygous sickle cell anemia, the numbers and RBC indices are all normal. 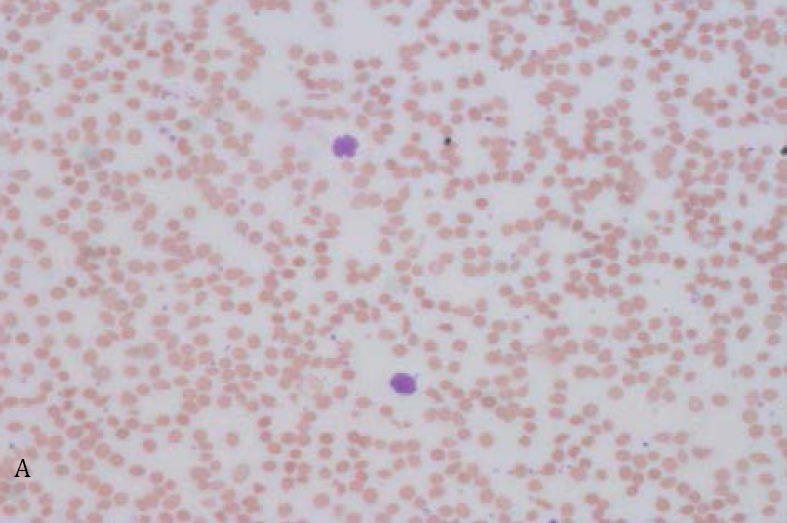 Lower MCV and MCH may be seen in patients with co-existing alpha thalassemia. In people with homozygous sickle cell anemia, the presentation is uncommon in the first year of life attributed to the presence of fetal hemoglobin. After one year of age, following the switchover, the HbF is entirely replaced by HbS, the patient develops chronic anemia and reticulocytosis. 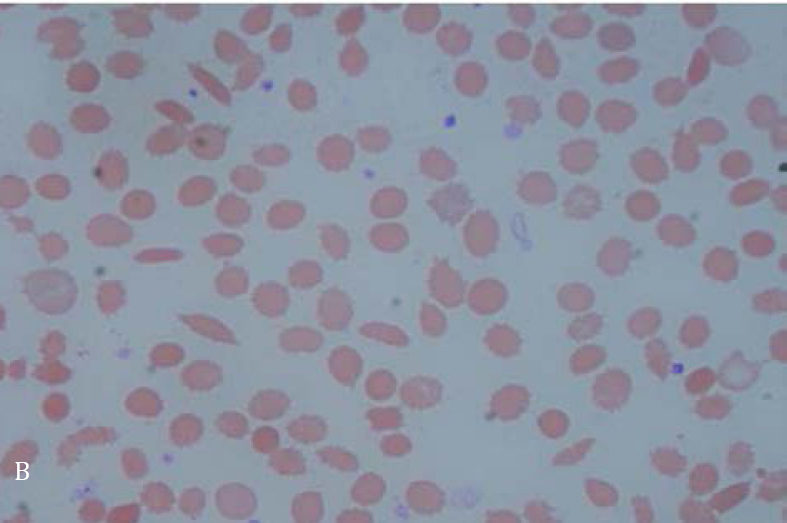 Figure 1: Peripheral blood showing Sickle cells: A-X400, B- X1000 (Leishman). Electrophoresis can be done in cellulose acetate at acidic or alkaline pH. Alkaline pH separates HbS from other hemoglobins such as Hb D and Hb G, which co-elutes with Hb S at acidic pH. Reverse Dot-blot, Restricted fragment length polymorphism (RFLP), and gene sequencing are the methods used to confirm the diagnosis. Science and treatment modalities are developing leaps and bounds. Within a few decades there has been an exponential change in patient management. But still we have not found a definite cure for sickle cell anemia. The first two are useful in acute crisis and prevent complications and the last two modalities hope to give a disease-free survival to the patients. Hydroxyurea which is a DNA-demethylating agent is the most effective drug found till now. Its mechanism of action pertains to induction of synthesis of HbF. 5-Azacytidine and decitabine were the first HbF-inducing agents to be tested as a therapeutic agent in patients with SCD. People suffering from sickle cell disease undergo auto-splenectomy in the early years of their life. This is because of vaso-occlusion in the microvasculature of the spleen. Thus, they are susceptible to infection by capsulated organisms like pneumococcus. Specific prevention strategies are useful. Vaccinations are recommended for all infants and children. Painkillers and intravenous fluid are main pillars of management of pain crisis. Hematopoietic stem cell transplant is the best treatment available which promises a disease-free survival once engraftment occurs. Basic idea is to replace the patient’s disease marrow by that of a normal marrow. Stem cells are collected from matched related or matched unrelated donors. The preferred method of stem cell is from peripheral blood by apheresis after adequate mobilization. If the transplant is performed when the affected person is still young, then success rates can be as high as 90-95%. (Sickle Cell Society 2005). Gene therapy either addresses the defect and corrects it or silences the defective gene. This is still under evaluation and not readily available yet. The need of the hour is to increase awareness among the mass and to give proper health facilities to those already suffering from the disease. Each PHC, at least in high prevalence areas, should be equipped with these basic facilities for screening the patients. Pre-marital counselling, pre-pregnancy counselling, and proper ante-natal check-ups should be established. Workers trained for counselling can be provided in each state as per the requirement. The actual burden of the disease is still eluding as we are not aware of all the patients and carriers. So, a national registry can be initiated. General physicians heading the PHCs especially in the high-density areas like Western Odisha should be educated about the SCD and its varied presentations. Screening can be set-up at the community level in places like colleges before admission, offices before placement and screening in schools on a rotational basis. Blood banks should be established and be well equipped with red cell exchange facilities. Bone marrow transplant facilities should be improved. Sickle cell anemia poses to be a major problem in India, particularly in Odisha. Adequate knowledge of pathophysiology and clinical symptom is important for the diagnosis and better management of the patients. Community based screening programs, pre-marital and pre-pregnancy counselling should be made an integral part of antenatal check-ups particularly in the regions with high prevalence of the disease. Williams TN, Weatherall DJ. World distribution, population genetics, and health burden of the hemoglobinopathies. Cold Spring Harb Perspect Med. 2012 Sep1;2(9):a011692. Baruah MK, Saikia M, Baruah A. 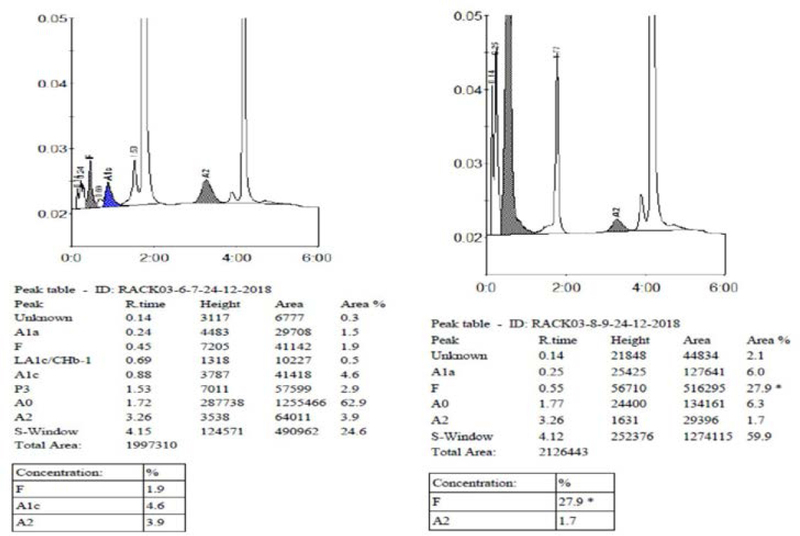 Pattern of hemoglobinopathies and thalassemias in upper Assam region of North Eastern India: high performance liquid chromatography studies in 9000 patients. Indian J Pathol Microbiol. 2014 Apr-Jun;57(2):236-43. Nagar R, Sinha S, Raman R. Haemoglobinopathies in eastern Indian states: a demographic evaluation. J Community Genet. 2015 Jan;6(1):1-8. Piel FB, Patil AP, Howes RE, Nyangiri OA, Gething PW, Williams TN, et al. Global distribution of the sickle cell gene and geographical confirmation of the malaria hypothesis. Nat Commun. 2010 Nov 2;1:104. Sinha S, Black ML, Agarwal S, Das R, Bittles AH, Bellgard M. ThalInd. A β-thalassemia and hemoglobinopathies database for India: defining a model country-specific and disease-centric bioinformatics resource. Hum Mutat. 2011 Aug;32(8):887-93. Roadmap for control. PediatricHematology Oncology Journal.2017;2(4): 79-84. Rao VR. Genetics and epidemiology of sickle cell anemia in India. Indian J MedSci. 1988 Sep;42(9):218-22. Balgir RS. The spectrum of haemoglobin variants in two scheduled tribes of Sundargarh district in north-western Orissa, India. Ann Hum Biol. 2005 Sep-Oct;32(5):560-73. Piel FB, Steinberg MH, Rees DC. Sickle Cell Disease. N Engl J Med. 2017 Apr; 20;376(16):1561-73. Anand Kumar K, Radhakrishna N, Sachdeva A. Management of thalassemia in Indian perspective. In: Sachdeva A, editor. Thalassemia: National Guidelines for management of transfusion-dependent thalassemia and non-transfusion dependent thalassemia; 2014. 296-302. Yawn BP, Buchanan GR, Afenyi-Annan AN, Ballas SK, Hassell KL, James AH, et al. Management of sickle cell disease: summary of the 2014 evidence-based report by expert panel members. JAMA.2014 Sep; 10;312(10):1033-48. Collah R, Mehta P, Mukherjee MB. Newborn Screening for Sickle Cell Disease: Indian Experience. Int. J. Neonatal Screen. 2018; 4(4): 31. Chatterjee T, Chakravarty A, Chakravarty S. Population Screening and Prevention Strategies for Thalassemias and other Hemoglobinopathies of Eastern India: Experience of 18,166 cases. Hemoglobin. 2015;39(6):384-8. National Health Mission Guidelines on Hemoglobinopathies in India Prevention and control of hemoglobinopathies in India-Thalassemia, Sickle cell disease and other variant hemoglobins. Ministry of Health and Family Welfare, Govt of India; 2016.